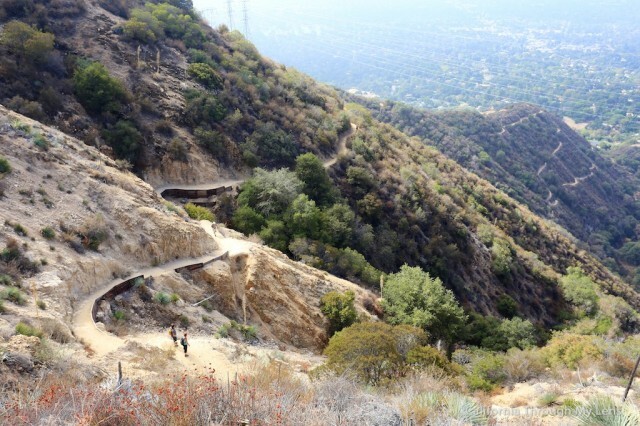 Echo Mountain is one of the most popular hikes excursions into the San Gabriel mountains for Los Angeles residents. 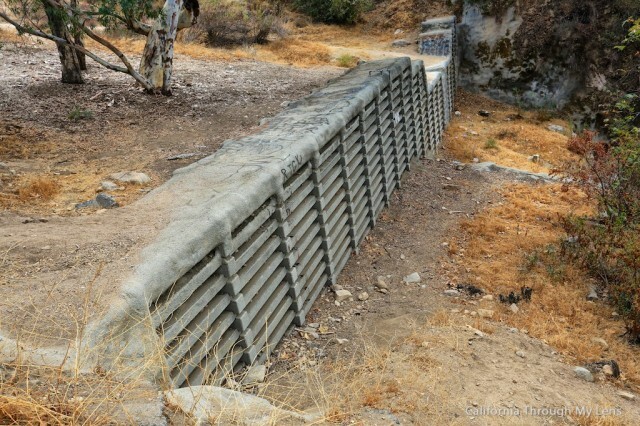 It is located at the end of Lake Ave, one of Pasadena’s main streets and the trail provides access to both great hiking and LA county history. 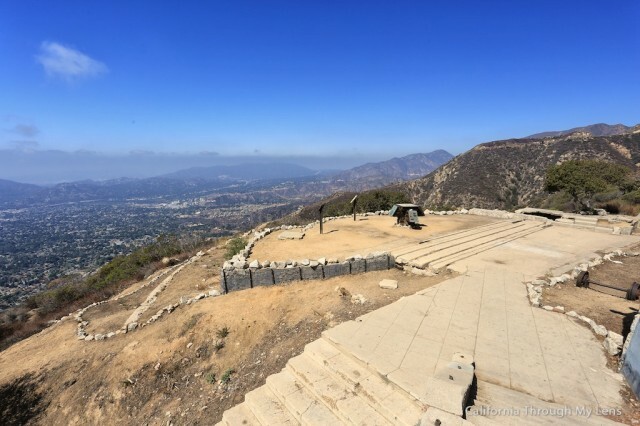 You may not know, but the top of Echo Mountain once housed a beautiful hotel and a full railway system to shuttle people from Pasadena central to the top of the mountain. 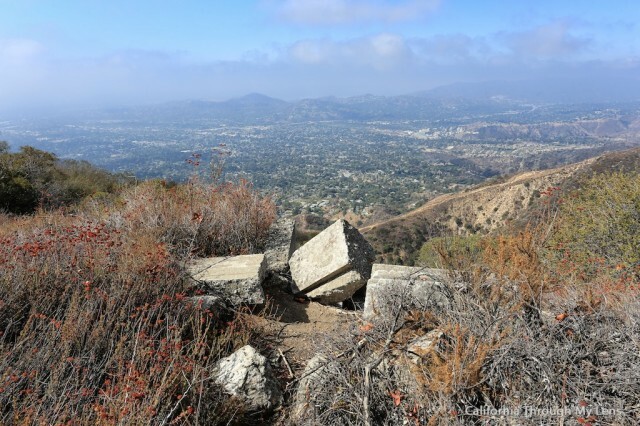 Today there are only remnants of this structure that crumbled over a century ago, but it is still a fantastic way to get out in nature and explore the history of the area. 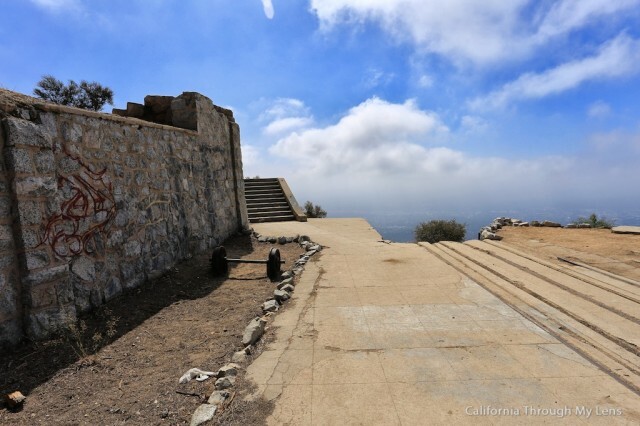 Atop Echo stood the magnificent 70-room Victorian hotel, the Echo Mountain House. Only a few hundred feet away stood the 40-room Echo Chalet which was ready for opening day. The complement of buildings on Echo included an astronomical observatory, car barns, dormitories and repair facilities, a casino and dance hall. 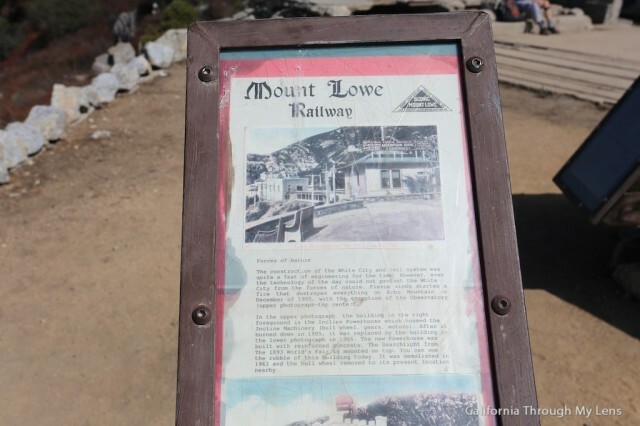 Passengers could then transfer to another trolley line, the Alpine Division, which would take them to the upper terminus at Crystal Springs and Ye Alpine Tavern, a 22-room Swiss Chalet hospice with a complement of amenities from tennis courts, to wading pools, to mule rides. 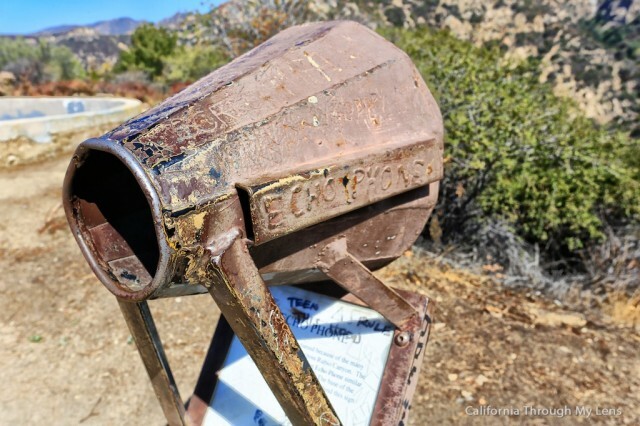 A series of natural disasters ate away at the facilities, the first of which was a kitchen fire that destroyed the Echo Mountain House in 1900. 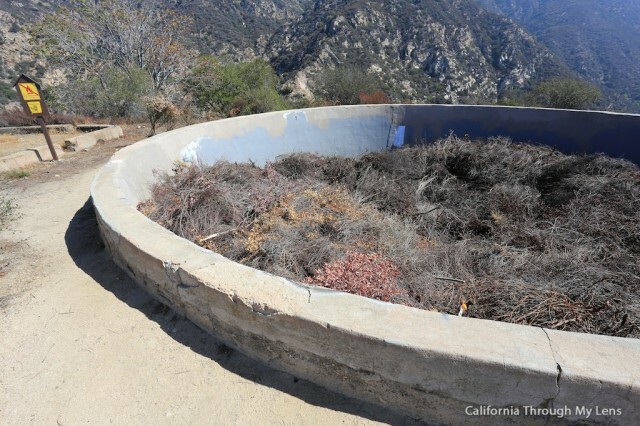 A 1905 fire destroyed the rest of the Echo buildings except for the observatory and the astronomer’s cabin. In 1909 a flash flood tore out the Rubio Pavilion. In 1928 a gale force wind toppled the observatory, and in 1936 an electrical fire wiped out the Tavern. 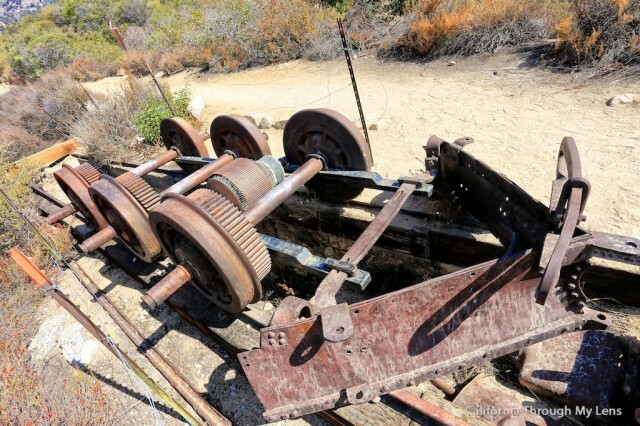 The Mount Lowe Railway was officially abandoned in 1938 after a horrendous rain washed most everything off the mountain sides. 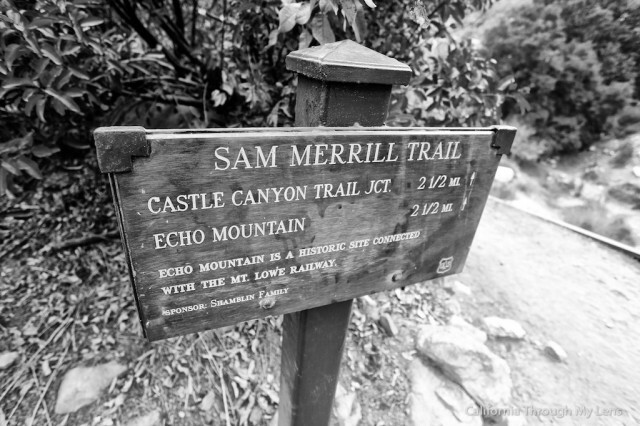 The best place to park is at the end of Lake Ave and E Loma Alta Dr at the Sam Merrill Trailhead. There is a decent amount of street parking here but it can be busy on the weekends and make sure to read signs so you do not get a ticket. 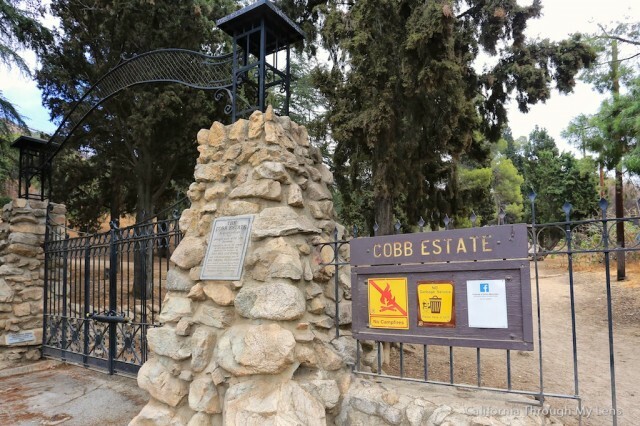 After parking you will enter the Cobb Estate which is the start of the trailhead to Echo Mountain and other hikes. 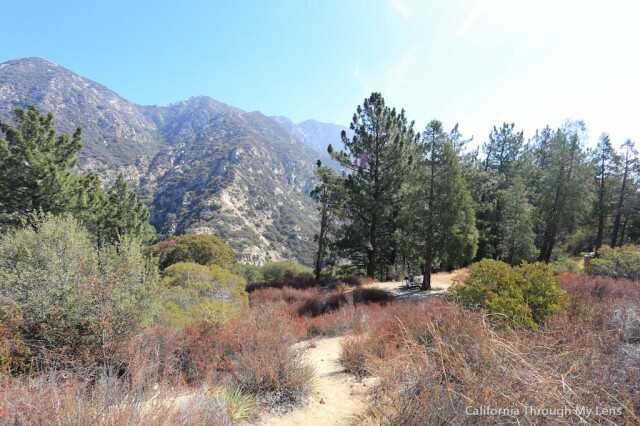 From here the trail meanders slowly through a shaded area and across a water run off that provides beautiful views of the mountains above. 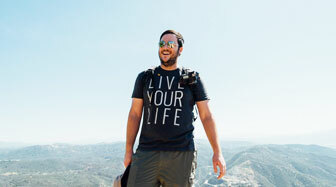 After that you will hit the base of the mountain and begin the switchbacks. 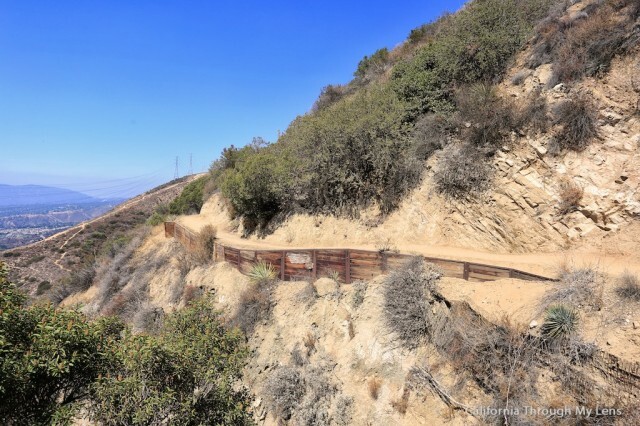 For the 2 miles, you will be heading up the entire time and will gain 1,600 feet of elevation. This is a pretty good climb but most people should be able to do it if you take your time. 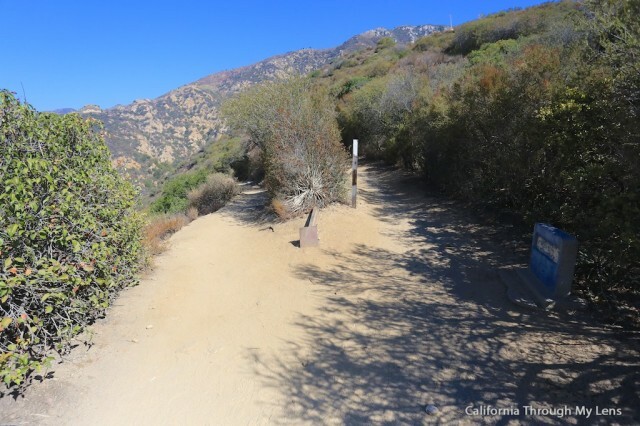 During this part of the hike there is almost no shade though so make sure to prepare for that, as in bringing a hat and sunscreen and not hiking in the main heat of the day. It never ceases to amazing me when I come down from a mountain see people starting at 11AM on a hot summer day, this is the recipe for a bad time. As you proceed upward the views get better and better and the drops offs get more steep. 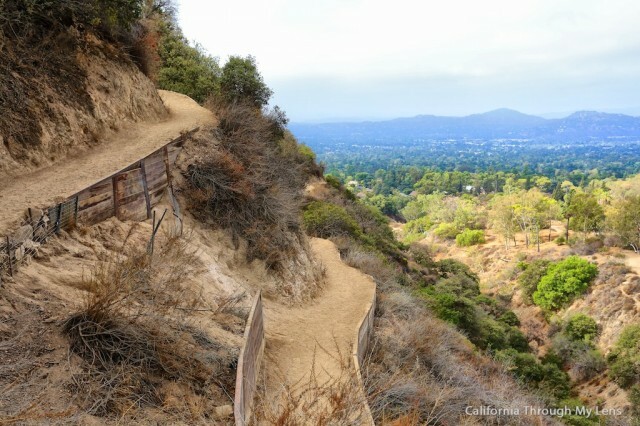 The trail is well graded and maintained but make sure to watch your footing when going across some of the more narrow areas. 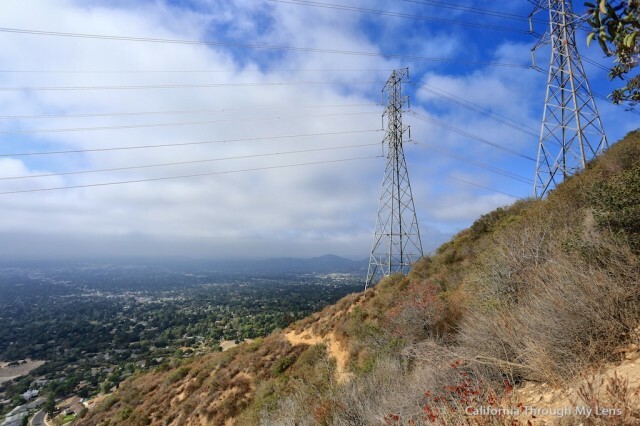 When you reach the electrical transformers you will know you are half way. As you continue the climb, make sure to look back at what you have accomplished thus far. The trail continues about another mile up from here, at which time you will see a split in the road. 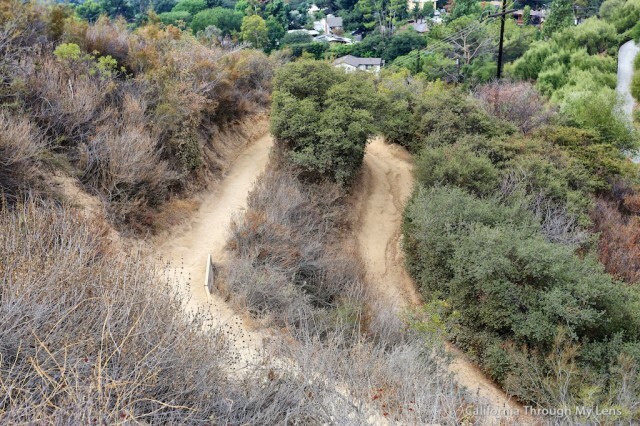 Make sure to stay right as that will take you to the ruins, while the other switchback will continue to take you up. 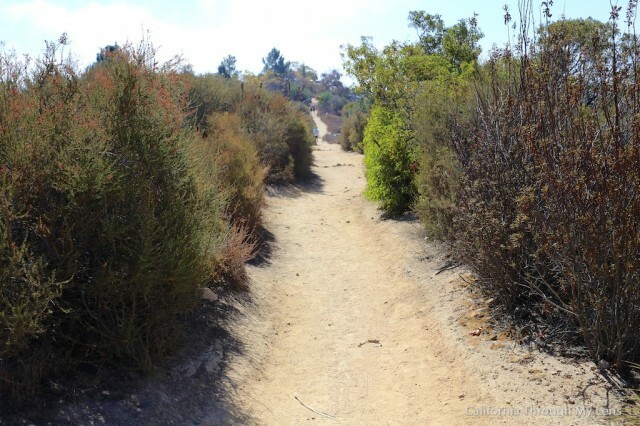 In the below photo you will be walking up from the left switchback and want to proceed past where this picture was taken, not up to the next switchback. About 50 feet from the split in the trail you will see the ruins of the hotel in the distance. From here the trail begins its historical aspect as there are signs with old pictures, historic plaques and abandoned railroad pieces. 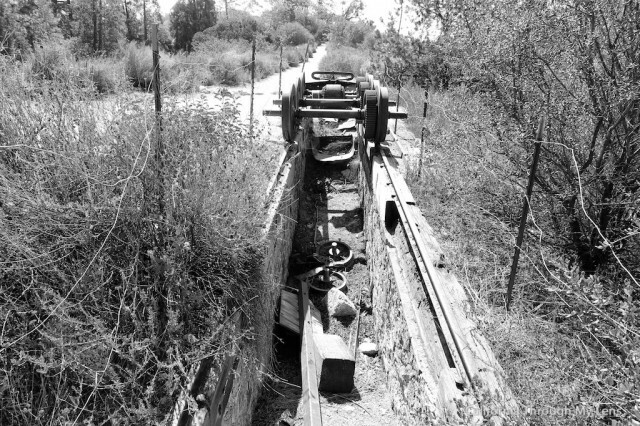 One of the first things you will see is a portion of the track with a big old piece of the railway on it. There is even some shade up here with picnic benches so you can relax and have your lunch while escaping the heat. 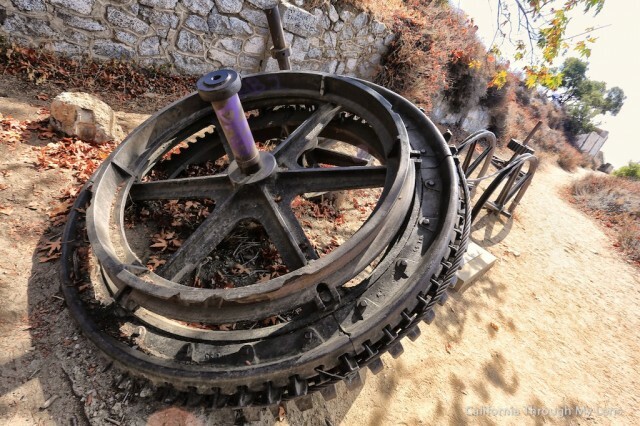 As you proceed to the ruins there is a massive old cog-wheel that was used on the railway and is pretty cool to still see up here. The large foundation of the house is still pretty much intact but that is about all that is left. All along the property there are historic pictures, timelines and information on the ruins though, I loved immersing myself in it. On the top of the small hill there is an old water tank which is where my crew sat and enjoyed our lunch at. This is also where the famous echo phone is, and it is more fun than you would imagine. Basically, the way that the hills are up here provides for a pretty unique echo. This is not one of those instant echos you are used to, but when you yell into the phone it echos about 6 seconds later in the hills. You can really take as long as you would like exploring this area as there is a lot to take in if you are interested in the history. On the way down just be sure to take your time and not to roll an ankle on the loose rock. 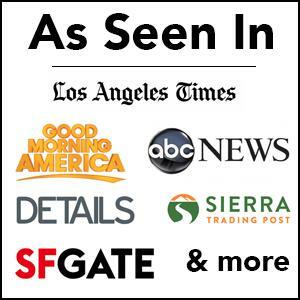 I would love to hear your views on this hike in the comments and if you are looking for more information I recommend SocalHikers guide as it is very thorough and it is what I used to accomplish the hike.